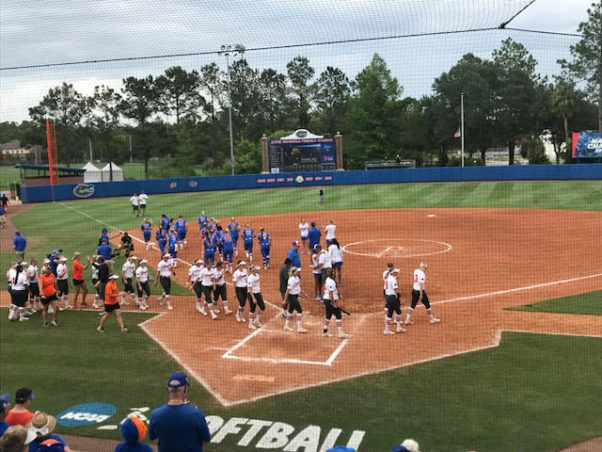 The top seeded Gators entered the 2017 regionals fresh off their 7th SEC regular season title, and earned their 5th straight Super Regional berth with wins over Florida A&M (once) and Oklahoma State (twice). The trio of shutouts puts Florida two wins away from another trip to Oklahoma City and the Women’s College World Series. The 2014 and 2015 National Champions lead the nation in ERA, fielding percentage, and shutouts; as they get set to face off with the winner of the Tuscaloosa Regional at home next weekend. Last season, Florida was swept by Georgia at home, and will be back in the friendly confines of Katie Seashole Pressley Stadium, all games will be broadcasted online here.